Mer is a popular and classic soft drink brand in Sweden, now owned by The Coca-Cola Company. Over the summer, the brand was given a new look, created by the London office of Elmwood. The aim of this redesign is to make Mer seem more "modern, relevant and cool" to the lucrative teen and young adults market. Mer means more and the brand's slogan has long been Älska Mer ("Love More"). The redesign uses the slogan across all packaging, including the smaller cartons popular with children. The new packaging also features bright and energetic fruit illustrations. 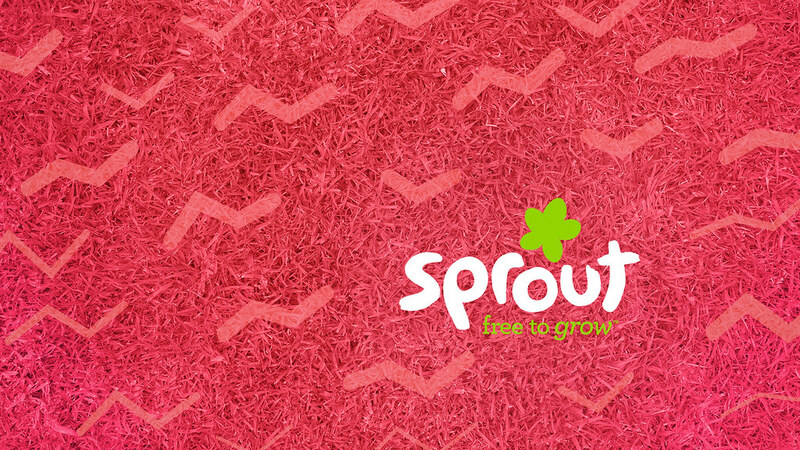 Sprout is an American TV channel for preschoolers. It was originally launched in partnership with PBS, but is now fully owned by NBCUniversal/Comcast. Recently, Sprout launched a new graphics package, produced by "creativity solutions" company Oishii Creative. The channel's tagline "Free to grow" is reflected in a bright and positive look, combining live action and animation. The IDs feature everyday situations and objects that have been re-imagined as playful scenarios. Overall, Oishii produced more than 60 different elements, including IDs, bumpers and menus. Back in July, one of the leading companies in decorative painting was rebranded. What was previously called Materis Paints was then renamed Cromology. The agency behind the rebrand was Paris-based Royalties. The greek roots of the name Cromology mean "the science of colours", which explains what the company is all about. The logo is described as using a script-like futuristic typeface, shown in black or white to "[enhance] Cromology’s aesthetic priority and cultural sensitivity". Schuberth is a German manufacturer of safety helmets, including combat helmets and motorcycle helmets. Last week, it launched a refreshed visual identity, created by Hamburg-based agency Jung von Matt/brand identity. Ziggo Sport is a new sports TV service in the Netherlands. It launched on November 12 for subscribers of leading cable operator Ziggo, replacing an existing sports channel called Sport1. The channel identity and branding for the new channel was developed by Cape Rock. The new Ziggo Sport is a "free" channel offering live sporting events as well as talk shows and other sports programming. The channel ident features 3D representations of different sports arenas with sports imagery superimposed on the Ziggo symbol. The graphics should convey a "masculine, combative and premium feel". Here's the logo round-up for October 2015. A few large companies, most notably Germany's Merck KGaA, introduced new visual identities last month. In addition, there were several other significant rebrands and redesigns around the world. Eurosport is a leading sports TV channel in Europe, having been a staple of cable packages since its founding in 1989. It was recently acquired by Discovery Communications who've integrated it into their portfolio of channels and bolstered it by securing the rights to the 2018 and 2020 Olympics. Today, Eurosport launched a brand new identity, with graphics developed by London-based DixonBaxi. Significantly, the new look introduces a new logo, for the first time abandoning the European circle of stars used with minor modifications since the channel launched. It has been replaced by a wordmark with a single star. The new look is launched with the tagline "Fuel Your Passion", exclaiming the engagement its viewers have with the channel's content. The on screen are graphics are clean and simple, relying on strong imagery and typography. Tours is a city in France, the administrative centre of the Indre-et-Loire department. It has a long history stretching back to Gallic times. With 135,000 inhabitants, its municipality ranks 27 in population in France, although the metropolitan area where Tours is the centre has about 480,000 inhabitants. A week ago, the city presented a new logo. What's most remarkable about this new logo is the one it replaces. Reportedly introduced in 1987, it consisted of a tower, inside a grid with a rainbow coming out of it. It screamed 80s design experiment and the city has been moving away from it over time. The new logo is far more functional, dominated by a wordmark, with the old tower abstracted to three shapes in the middle, in colours related to the city and the region. An accompanying press release says it should convey a range of values, such as charm, elegance, revival, fluidity, innovation, movement and a balance between tradition and modernity. Peer-to-peer car rental service RelayRides, which connects car owners with prospective renters in over 2,500 cities, changed its name yesterday. It is now known as Turo, and the rebrand was spearheaded by the San Francisco office of creative branding agency DesignStudio. Turo is positioned as an adventurous, aspirational and individual brand that makes car rental a part of the journey. The visual expression is clean, using majestic imagery and "editorial" typography. The simple logo symbolises the starting point of a journey. In Canada, the rights to Disney-branded TV programming were held by the local Family Channel until this year, when the rights switched. Family Channel had also operated local versions of Disney Channel spin-offs Disney XD and Disney Junior. As a result of loosing their Disney programming, the channels were rebranded in September, with the English and French versions of Disney Junior rebranded as Family Jr. and Télémagino, respectively. The visual identities and graphics for the two preschooler channels were developed by LA-based creative studio Roger. The graphics package uses paper-textured animation throughout, giving it a playful and tactile feel. This is reinforced through the use of custom handmade typeface. It also features a cast of whimsical paper characters, created through a combination of stop-motion and computer animation. They are used to tell small stories in the idents.